These 150-watt, 6.5” two-way Hydra-series Pyle marine speakers are perfect for your boat or other marine application, providing great sound on land or at sea. The 2-way waterproof construction and black trim give these speakers a touch of elegance. 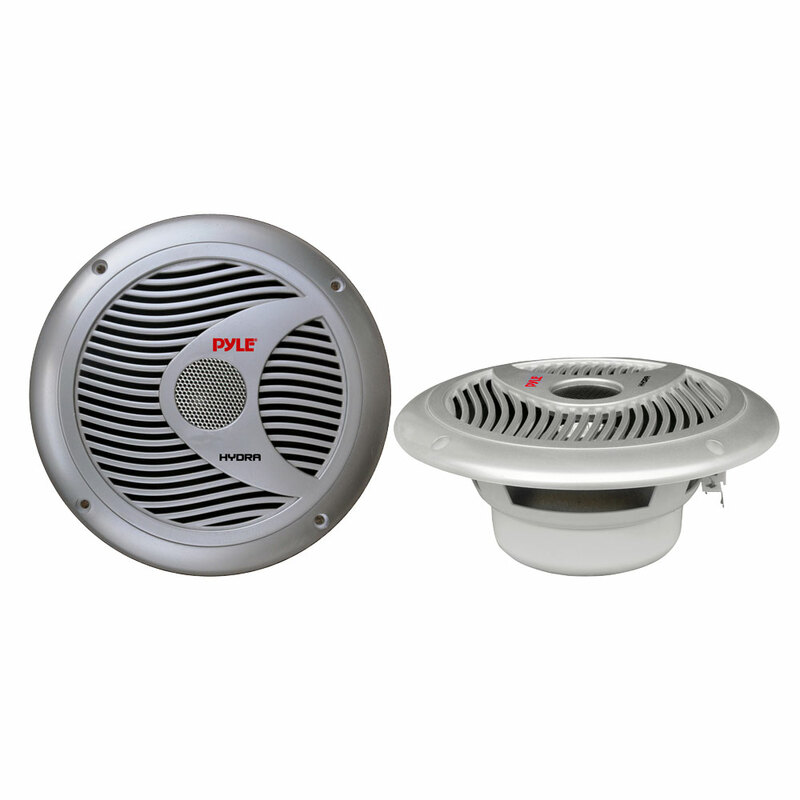 The 1” aluminum voice coil provides quality mid-range, while the ½” dome tweeter fills in the high end. It all sits in a molded ABS basket that keeps your equipment safe and increases its longevity. 4 ohm impedance.